Run WhatsApp on Windows PC or Apple Mac With Few Clicks without any knowledge of coding, programming, using Android difficult to follow simulation setup. As basically most webmasters pays hired writers to write post on behalf, they copy paste the idea from usually well known websites, the variation is never seen, the suggested ‘usual’ way to run WhatsApp on Windows PC or Apple Mac is basically using Android SDK, thats a developers tool and quite hard to use by even an advanced user. The practical part is – even if WhatApp installed in that way, the mobile network of some countries will never allow to get the SMS for verification as a safety measure. Even if you manage for the voice verification, it will not get verified, because the ISP will detect the cheat and prevent it. For Mac, it is very common, for Windows PC, it also happens. 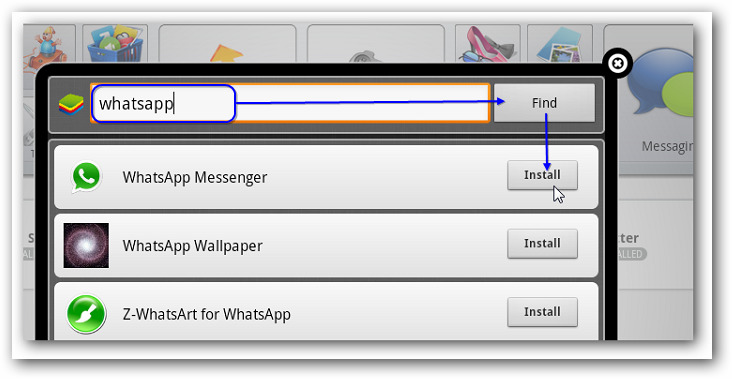 The theory that does not work is a junk, here is the fool proof ways with explanation to Run WhatsApp on Windows PC or Apple Mac With Few Clicks. No knowledge of programming is required to run WhatsApp on Windows PC or Apple Mac With Few Clicks in this way. If you read our article, details of WhatsApp and Extra Addons, you will understand there are quite high level difficulties to actually simulate to run WhatsApp on Windows PC or Apple Mac, if the ISP and Country is quite aware of the users’ security. If the security is breeched, US or India can be blown by those terrorists, as they will enjoy to use almost free (free for 1st year, $1 per year subsequently). Most dangerously, a rented server could have been used to fool. So, the basic thing is – we need to run WhatsApp on Windows PC or Apple Mac in some legit way so the gateways will not prevent either the protocol by the computer by Firewall or by the ISP. First the device for connection should be an prototype USB modem which actually supports SMS and optionally Voice Call (in case SMS fails) with a SIM Card from your ISP with 3G which uses a VPN, support for Voice and SMS facility. So technically the ideal USIM (Universal SIM) to Run WhatsApp on Windows PC or Apple Mac should be of an Android Device which actually supports these features but not never has been activated for WhatsApp. People fails first due to this proper hardware and ISP setup, plus Operating System level Firewall blocks sending SMS thinking the work is done by a keylogger. It is moron’s thought to get a SMS over a leased line, how much you pay does not matter. Without these basics, no one in this World can get rid of the error in verification process to run WhatsApp on Windows PC or Apple Mac. With the proper setup if you are unable to carry out, the Firewall is preventing to allow the App which is simulating, or WhatsApp itself or natively has blocked the port. Android is actually configured like a server on VPN. This will give you the lead, how technically difficult can be the process to solve errors to run WhatsApp on Windows PC or Apple Mac. In one sentence – your USB Modem should hardware wise emulate as a verified Android. If your USB Modem supports voice protocol, use voice verification, the failure is due to your Operating System’s firewall or Port settings. It is quite difficult to setup the port if you lack knowledge on Networking on UNIX. You have to set it like a server. WhatsApp is not an Open Source software, so you have to open all the common ports. Search with ports in this website to get some articles. You will forget your own name for proper setup under Windows as the port 80 should point towards this (virtual) BlueStack’s public folder. It is better to buy a phone running Android, really in that case. Another way is to swap the USB modem’s USIM quickly keeping the Apps opened and insert to the original real android and click the verification via Voice. Write it or type it, swap the USIM again quickly and connect to internet, you should get verified with 80% probability. If your Modem’s software sends a failure header more quickly, a separate secure session of connection will start (as it is a VPN), it is unlikely to get verified. Thankfully, on Windows this happens slowly as if hanging. On Mac you will not get this chance, I have tested it. Third is to use Virtualization to run Android OS (please search this website) on Windows or Mac without using this BlueStack software. I have not tested. So actually you can run WhatsApp on Windows PC or Apple Mac, but the need is quite high and out of reach by the most. Do not use the same USIM to run WhatsApp on Windows PC or Apple Mac which is of an Android device with already having an active WhatsApp account. Your number and device will be barred by the system. This Article Has Been Shared 5269 Times! Cite this article as: Abhishek Ghosh, "Run WhatsApp on Windows PC or Apple Mac With Few Clicks," in The Customize Windows, October 14, 2012, April 26, 2019, https://thecustomizewindows.com/2012/10/run-whatsapp-on-windows-pc-or-apple-mac-with-few-clicks/.